“Hey, that’s my soda.” She glared at her brother. No, better not. He’d beat her to a pulp. But she’d inherited Dad’s brains. Peeing in a water balloon was tricky, but her throwing aim was perfect. 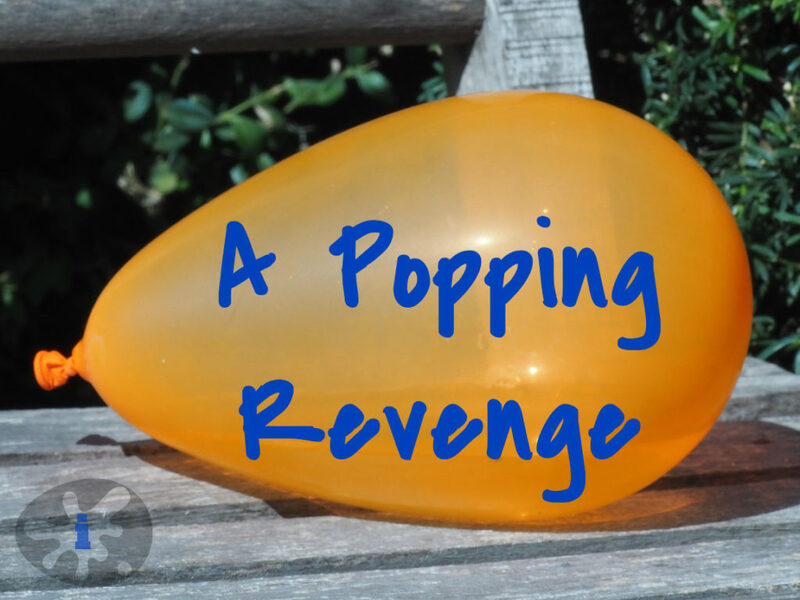 In case you hadn’t figured it out, this week’s prompt word is pop. Pop has a lot of meanings. Find many of them in here? I figure there’s about 4, if you count the balloon and the exploding nose as one. My stories–even my fifty word ones–go through a lot of revisions before they get posted. I’m a member of a writing community called INKubator. Our primary home is a Discord server and one of our channels is just perfect for working on shorts like this. We offer the chance to live edit them. Here’s how it works. I write a draft and work at it until it’s the best I can make it. Preferably I give it a rest then look it over again. Then I share my draft in the appropriate channel along with any notes about issues I have–like if I’m over word count and need help cutting. Anyone who is around and has time joins me in the channel, and we go to work making the story better. We swap words, rearrange, fine-tune, tweak, hone the arc, and make sure the impression on the reader is what I want. We keep working at it until we’re happy. Sometimes I’m not ready to make enough changes yet and I have time, so I put it aside to rest another night and do it again the next day. Does this take time? Yes, it does. But what it does even more is make me a better writer. Writing is editing. The process of revising is what makes a writer good. Skill with editing can compensate for a lot of drafting weaknesses. However, if you are a great drafter but don’t learn to edit, you will have problems forever. Here’s the other bonus. The process doesn’t just help me. It helps everyone who participates in the process. The exchange of ideas, the discussion about what to do and why, and seeing the story be reformed by editing–this makes the editors better writers too. So every time I jump in and help one of my fellow INKlings, I grow too. The other advantage to this type of editing is that it is often very quick. People help if they have time and feel like it, expecting you’ll dive in when they need help too. Unless no one is available, you often have a good polish within a few hours, instead of dropping a 3000 word story in the main peer review channel (also available to all levels of members) and waiting a week until a few have been through it. Of course the live edits are only available for short pieces like microfiction and micropoems. The big stuff has to go through the peer review system or wait for a Chicago Workshop. If you think a group like that would appeal to you, feel free to check out our web page and see if we might be a good fit for you. Our intention is to have members who are serious about becoming better writers, whatever their levels are right now. Cover art based on an image from Ratfink1973 on Pixabay.